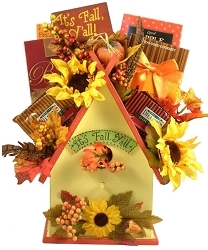 What a fun and festive way to say, "Happy Fall" to all your friends and loved ones! 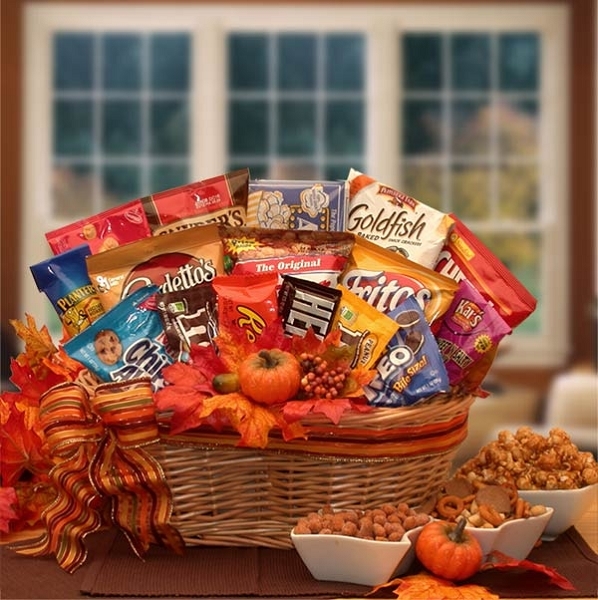 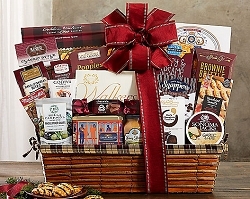 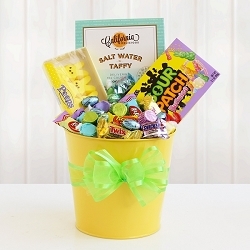 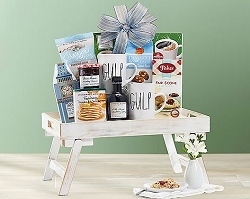 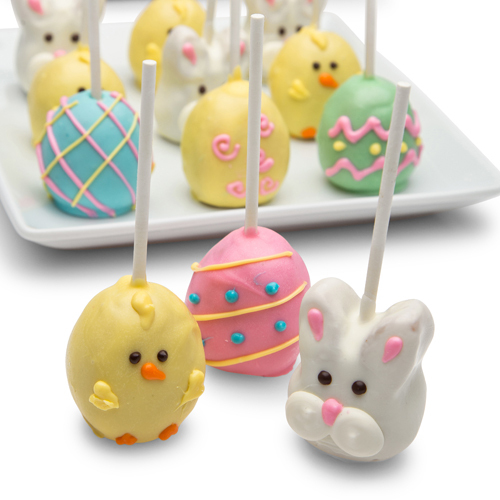 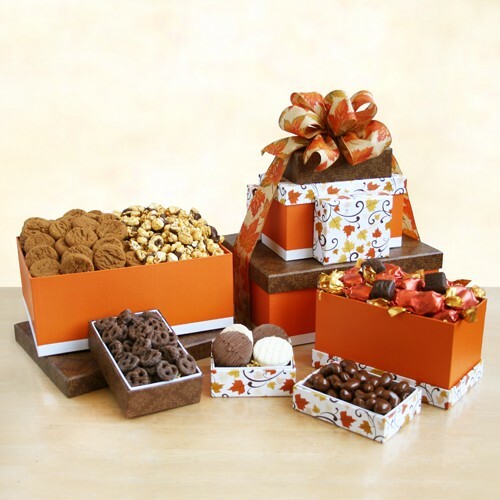 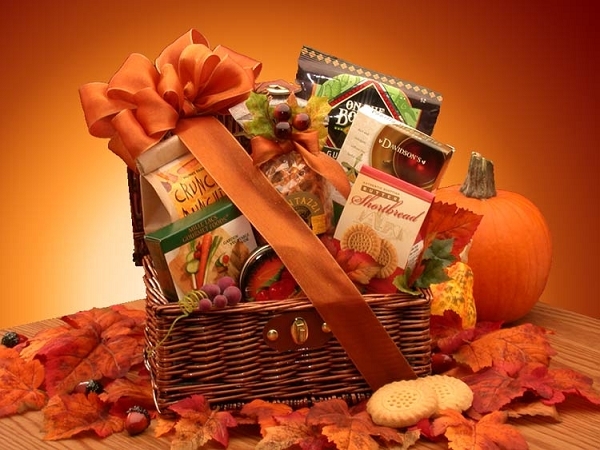 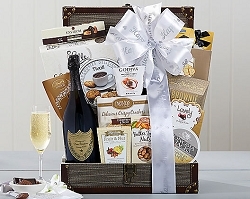 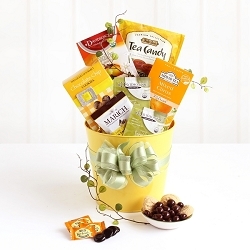 Favorite American snacks are included in this Fall themed gift everyone is sure to love it. 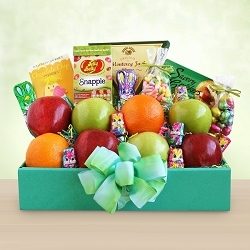 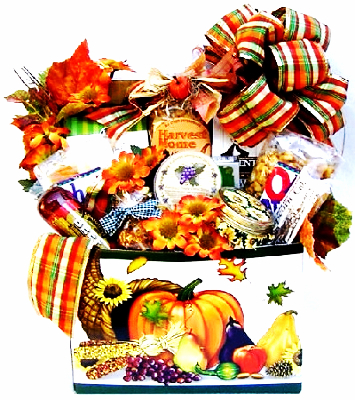 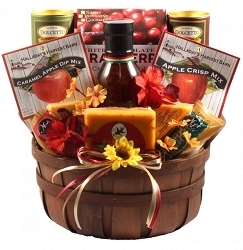 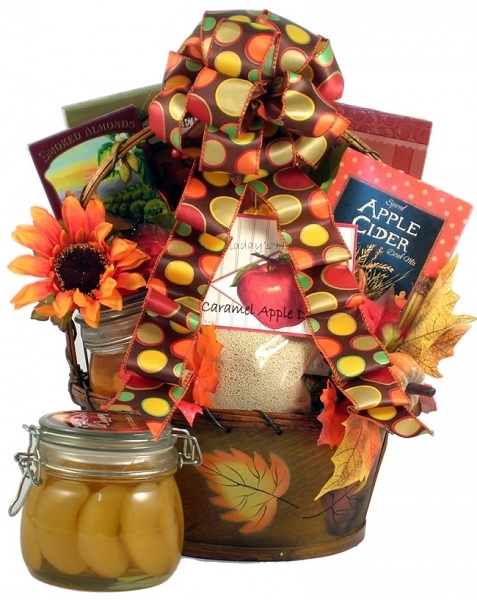 Beautifully Decorated with a keepsake pumpkin plant pick and handmade fall bow this fall gift basket is a big hit. 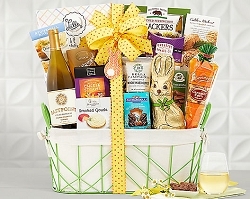 Gift Includes: natural willow basket, Chips-A-Hoy cookies, Oreo Cookies, Peanut M & M Candies, Plain M & M candies, Reese's Peanut Butter cups, Gardettos snack mix, Planters Nuts, Cracker Jacks, Fritos Corn Chips, Kar's trail mix, Goldfish crackers, Cheeze-Its crackers, Snyder's Pretzels, Ritz Bitz crackers, Microwave Buttery popcorn, Classic Hershey chocolate bar.